From head-on collisions to tire blowouts, fender benders to empty gas tanks, there is a multitude of reasons you might need to search for a wrecker service. Whatever the reason though, finding a dependable and professional provider is essential. If you’re based in or around Oakland, California you need only look as far as Rocket Towing. 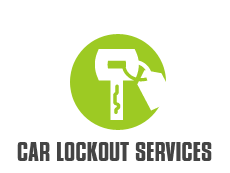 Our wrecker service is professional, dependable and affordable. We perform our services with the cooperation of an independently owned and licensed tow truck operators. 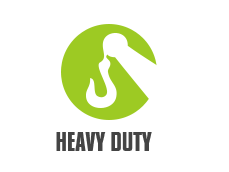 With a long list of satisfied customers behind us, we’re proud to offer a wrecker service that will provide you with exactly what you need. Whether you drive a car, truck, van or motorcycle, our local tow truck operators have the skills and tools to assist you. 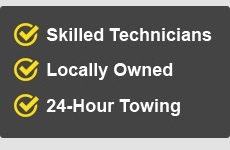 What’s more, our extensive tow truck fleet means we can tackle a large number of callouts at the same time. 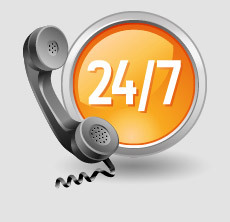 Our wrecker service is available around the clock. We work 24 hours a day, 7 days a week, 52 weeks a year. 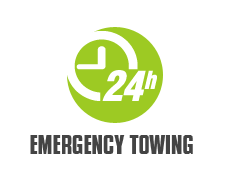 We work all public holidays (including Thanksgiving and Christmas) to ensure that you always have someone to turn to in your hour of need. 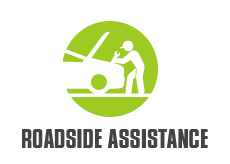 A Comprehensive Service You Can Count on! In addition to providing 24/7 coverage, our wrecker and towing services are also affordable. We strive to keep our prices as low as possible, always ensuring our clients are getting a fair deal. What’s more, our prices are 100% transparent with no hidden extras. We’re proud to offer a truly professional wrecker service. Our tow truck operatives are highly-skilled and have tackled just about any scenario you can think off. On top of this, they’re friendly and approachable, and always willing to go the extra mile. If all of this isn’t enough to convince you, our services also come with a fast arrival time. Forget about long waits. Forget about worrying about whether your tow truck will ever arrive. Hire our services and we’ll take care of you in next to no time. Contact us today to hire our Rocket Towing wrecker service!